Ever since she was a little girl, Lindsay Lewis dreamed of becoming a teacher. Her dream came true 10 years ago, when she starting teaching at Neshoba Central Elementary School. 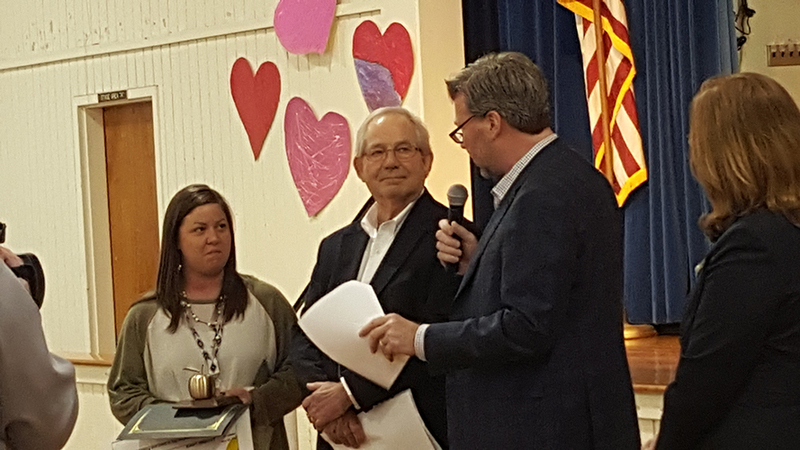 That same school gave back to Lewis last week, when she was surprised at a ceremony naming her the Golden Apple Teacher for February. Lewis, who teaches first grade, said she was surprised when her name was called as the Golden Apple winner. "I knew I had been nominated, but never believed I would win," Lewis said. "I feel undeserving to have been nominated, but I am happy. It is an honor to have a group of people recognize the hard work you do. As a teacher, you don't realize how much of your own money you spend. To have people that care, and want to help us get things for our classroom is so appreciated." Early in her teaching career, Lewis taught pre-K, kindergarten and art. But first grade is where her heart lies, she said. "They are a little more independent at that age, compared to other grades I have taught," Lewis said. "It is a big grow-up grade, and they are so eager to learn. They want to please you, and do well. "There are so many different personalities in one room," she said. "That's what makes it so awesome; every student is so different like that. You have your loud ones, shy ones, brainiacs, and class clowns." Although Lewis teaches language arts, math, science, social studies and health, reading is her favorite subject to teach, she said. "When they enter first grade, they already know their sight words and letter sounds," she said. "But once they put those together and figure out what they are doing, a light turns on, and it is just amazing. Once they realize they can read, they want to read everything." Lewis, who has a bachelor's degree from Mississippi State University, completed her National Board Certification in 2011. She says it was one of her proudest achievements. "That was hard, and after I did that I felt very accomplished and was very proud of myself," she said. Tiffany Plott, principal at Neshoba Central Elementary, said Lewis was born to teach. 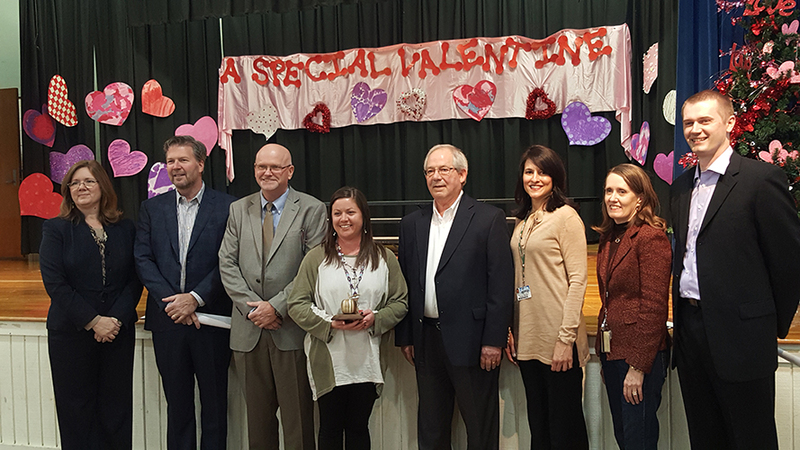 "I am so proud of her, and couldn't think of anyone more deserving to be chosen as the February Golden Apple Award Winner," Plott said. "The high expectations she holds for her students is evident each and every day. She has a passion for children, and teaching." Plott described Lewis as one of the most well-rounded teachers she has ever worked with. "She is a team player; she possesses such an engaging personality and teaching style," Plott said. "She has a wonderful rapport with her parents, and build relationships with her students that are beyond compare." Tarla Page, the school's assistant principal, said she nominated Lewis because she is an outstanding teacher. "What stands out about Lindsay the most is her attitude, not only in the classroom, but outside the classroom as well," Page said. "She is very humble, but yet such a hard worker, she puts forth that special effort. She is highly-requested by parents to be their child's teacher, because of her reputation of being an outstanding teacher that goes over and beyond what is expected." 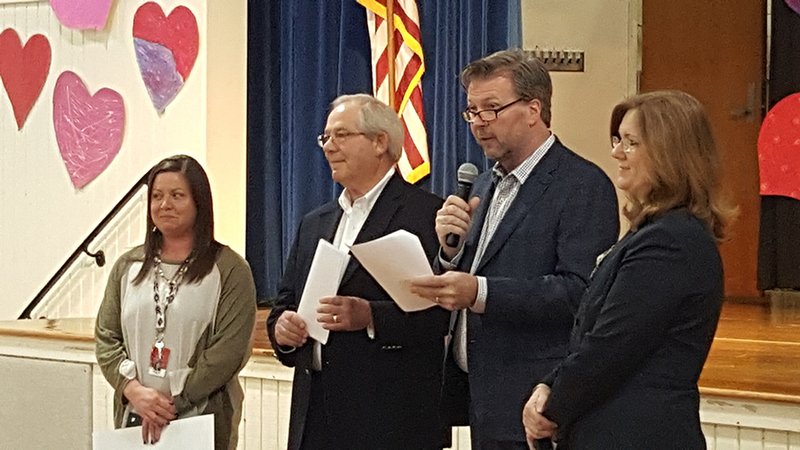 Neshoba County School District Superintendent Joe Killens said Lewis is among one of the many great educators in the district. "We are so proud of Lindsay and the job she does everyday to educate the students under her care," Killens said. "Their love for her is obvious, as shown by the excitement they exhibited when they realized she was receiving the award. 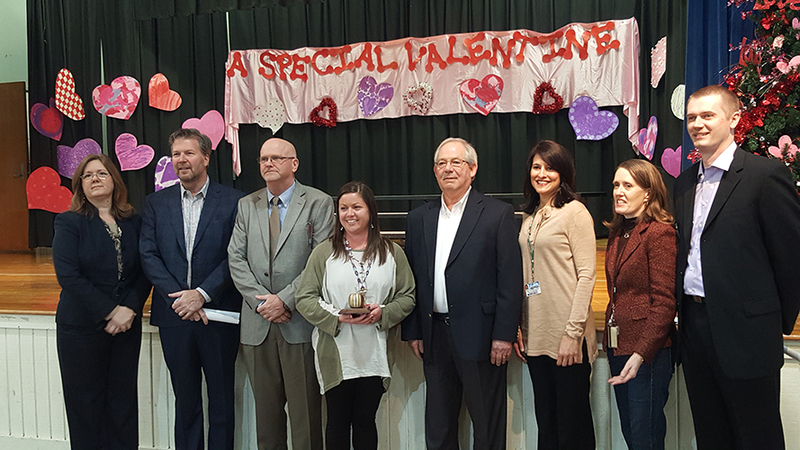 I would like to thank all of the sponsors of the Golden Apple Award program for recognizing teachers like Lindsay who go above and beyond on a daily basis." And Lewis makes learning fun for her student, according to teaching assistant Rosalyn White. "They love her, and if she is out one day they want to know where she is," White said. First-graders Izzie May and Graham Fulton agree. "I am really proud of her for winning," Izzie said. "I learn a lot from her, and she is really nice, funny, too." "I like the way she teaches us math; she makes it fun and plays games with us, too," Graham said. "Every day is a new day. Whatever upset you today, have a good night's rest and when you wake up it's like a brand new day," Lewis said. "That's how children are, resilient like that." The Golden Apple is open to any educator, grades kindergarten through 12th grade who works in the following: Lauderdale, Neshoba, Kemper, Clarke, and Newton counties in Mississippi, or Choctaw and Sumter counties in Alabama. 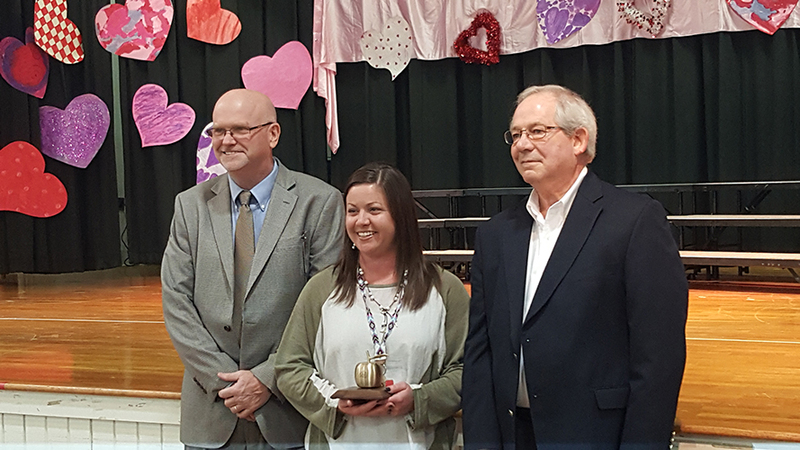 As a Golden Apple winner, Lewis received a $300 cash prize, a Golden Apple Trophy, a $150 donation to an "Adopt a Classroom account and a large school supply donation for her classroom. The monthly winners will be invited to the Golden Apple Teacher of the Year banquet and that winner will receive $2,500 cash to be used at their discretion and a $2,500 scholarship to be awarded to a deserving student in the teacher's name. La-Z-Boy of Newton is the February Presenting Partner.